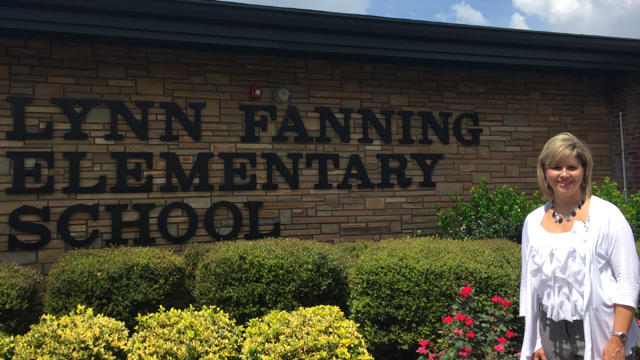 I would like to welcome you to Lynn Fanning Elementary School. I am blessed to serve this school and community as your principal. I am very excited to be part of the Lynn Fanning Family and look forward to working with you and your child/ren. I received my bachelor’s degree in Elementary Education from Athens State University in 1996 and began teaching 5thgrade Reading at Hazel Green Middle School. While at HGMS I taught Math, Reading and English and sponsored the Drama Club. I transferred to Meridianville Middle School in 2001 where I taught 6th grade Math and Reading. While at MVMS I co-sponsored the Basketball Cheerleaders, sponsored First Priority, and was on many committees where I served as a member, chair, or lead contact. I graduated from Tennessee State University in 2004 with my Master’s in Administration and Supervision. During the 2010-2011 school year, I served as the Math/Technology Coach on a grant awarded to the county through the Department of Defense Education Activity. This opportunity allowed me to work with 16 math teachers and their students in 3 schools across Madison County. My next move in education was as Assistant Principal at Riverton Intermediate School from 2011-2013. I have been part of the LFES family since 2013 where I love what I do and I am doing what I love. I have a wonderful husband, Craig Burger, and we have one son, Corey, and daughter-in-love, Jenna, who live in Roswell, GA with our grand-dog, Lacy. In our spare time we enjoy boating, going to the beach, and spending time with family and friends.